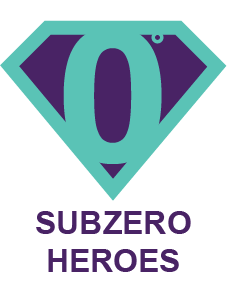 Please enter your donation to the 2019 Subzero Heroes - Hudson Valley. Your donation will support Alzheimer's care services, programs and vital research. You are fueling our cause to help us influence change by engaging elected officials to make fighting Alzheimer's a national priority. Every dollar helps us to fund programs like TrialMatch™ to connect people to clinical trials and power progress in research for better treatments and a cure. Your donation helps the Alzheimer's Association deliver education programs and support groups nationwide to support more than 5.4 million Americans living with Alzheimer's disease. Your support of any amount gives us the power to fight Alzheimer's disease through vital research and essential support programs and services. Do NOT display my name or tribute on the public donor wall. When you make a gift to the Alzheimer’s Association, you join us in our mission to eliminate Alzheimer's disease through the advancement of research; to provide and enhance care and support for all affected; and to reduce the risk of dementia through the promotion of brain health. As a valued member of our online community, you will receive important updates about Alzheimer's care, support, and research. You may choose to stop receiving Alzheimer's Association emails at any time by clicking the unsubscribe link provided in every email.